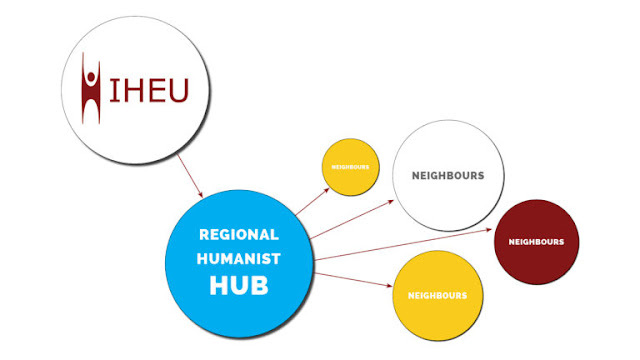 As part of its Growth and Development Plan, the International Humanist and Ethical Union (IHEU) has awarded a total of £6000 to support projects and events promoting humanism and the work of humanist organizations. 7 grants was awarded, in the current round and plan to re-open the same process next January, focusing this time on Africa as IHEU’s new priority region for 2018. Among the beneficiaries of the award is the Atheist Society of Nigeria. The grant worth £900, will be used to help twenty university students from different areas of Nigeria to attend ASN National Convention “Road to Reason". The deadline for students to apply for the travel grants is 14 October – all information can be found on ASN website. The Convention will take place on 11 November at the University of Lagos and the IHEU will be present virtually with a video-message from its Growth and Development Officer, Giovanni Gaetani. “This grant will cover the travel costs and 2 nights hotel accommodation for 20 students from 10 different Nigerian Institutions. “We were really pleased by both the number and the quality of the project proposals received by many different organizations from all over the world. “This process confirmed to us that the Humanist movement keeps on growing fast at all levels and in every region of the world. Other beneficiries includes the; Latin American Humanist Congress in Guatemala, Freethinkers Association of Arequipa and the Russian cluster of the Brights movement.